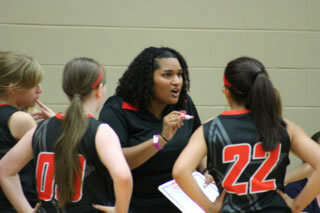 Professional coaches dedicated to training athletes for collegiate success on and off the court. 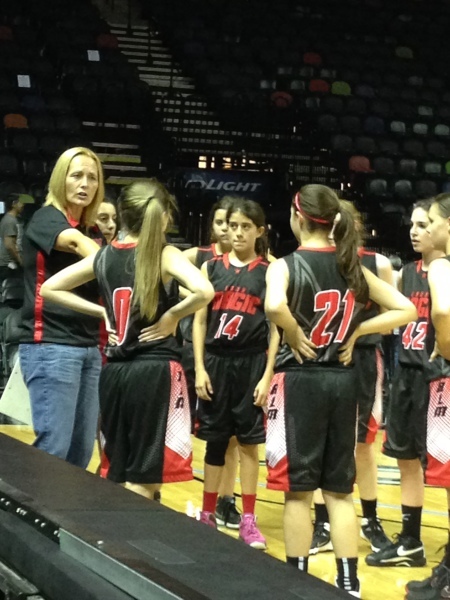 Directors determined to provide the organization you need to support your child's basketball dream. Keep playing and training all year, so you're never working twice as hard to get back to where you once were! 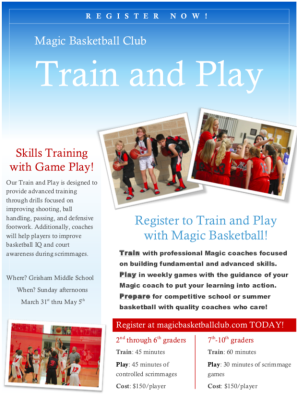 There are limited spots available on 2019 Magic Spring Select Teams. Email [email protected] for details! Train and Play is designed to provide advanced training with controlled scrimmaging to learn the game the right way! Help our Magic families in need of assistance by sponsoring, donating, or shopping at our Silent Auction. Give the gift of play! 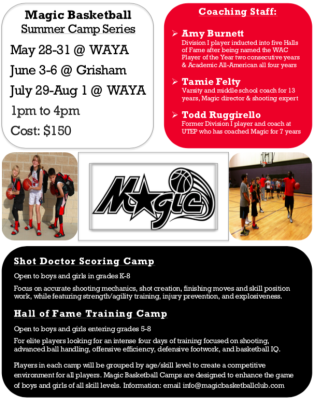 Shot Doc Scoring and HOF Training Camps Training by the best coaches focused on building fundamental & advanced skills! Magic Basketball is more than a club; it is a basketball family. 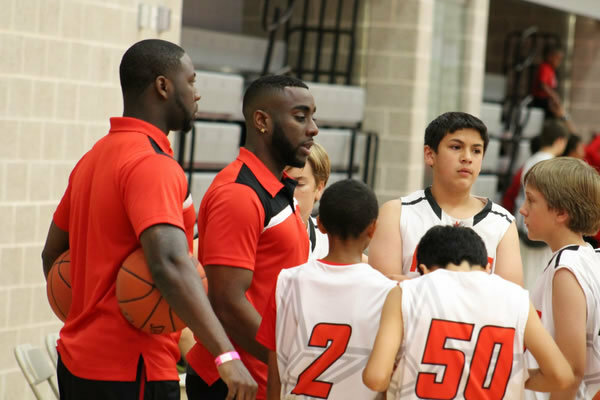 We are about more than excelling at the game of basketball; we are about excelling at life. Professional coaches training you to take your game to the next level and prepare for collegiate success! 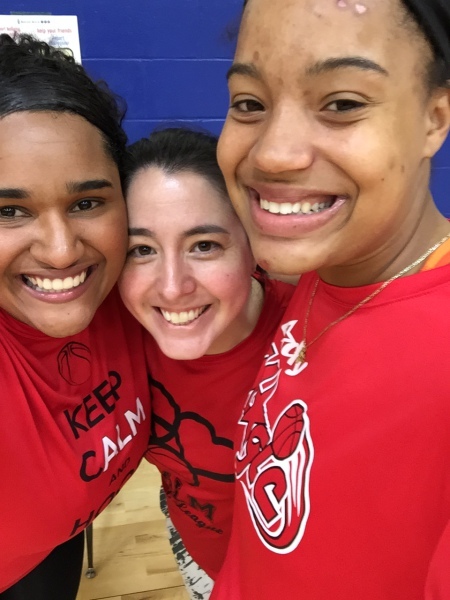 Whether you are a advanced player on a National Team or focused on improving your skills on a Junior Team, our experienced coaches are focused on strengthening your fundamentals and pushing you to excel in a competitive learning environment. 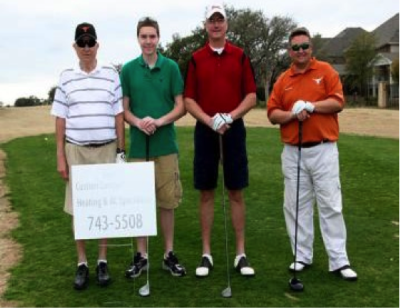 Professional coaches with extensive coaching experience at all levels of the game. Our goal is to teach the fundamentals the right way and help athletes excel to the next level of their game!